You've read the magazine now read some more! So, you have a copy of tech. on the iPad but the editorial journey doesn't stop there. You may have noticed the many fantastic quotes we have in the issue. Well, now you can read the whole articles that we referenced - there's over 40 to choose from! Below is a list of content section by section. Enjoy. 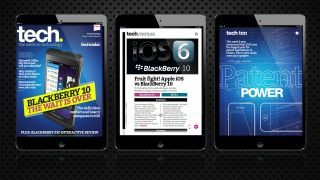 Will BB10 end BlackBerry's jam?